Apartments M. A. I. S. is positioned 100 metres from the sea in Tisno opposite the island of Murter, which is linked to the mainland by a bridge. On Murter there are many fishing small towns, which make it possible to sample freshly caught fish at the various eating places in Tisno and on the island. In the proximity of Apartments M. A. I. S. you can explore the UNESCO-protected St. James Basilica in Sibenik. During summer, there are entertaining and cultural festivities taking place. You can enjoy exceptional music, dancing and culinary thrills. Murter presents quiet sandy or stone beaches and there are many playgrounds for youngsters. 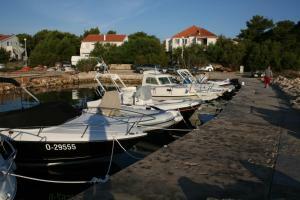 One-day boat excursions to the National Park Kornati with snorkelling lessons are organised. Boat and jet ski accommodations are available as well. Tisno ( ~ 0.4 km ): 206+ accommodation units. Betina ( ~ 5.4 km ): 102+ apartments. Beach Jazine, Tisno ~ 1 km from Apartments Mais Tisno Gravel beach: ideal for families, recommended for young people, with restaurant, with caffe bar, equipped with showers. Excellent choice of watersports. Beach Sv. 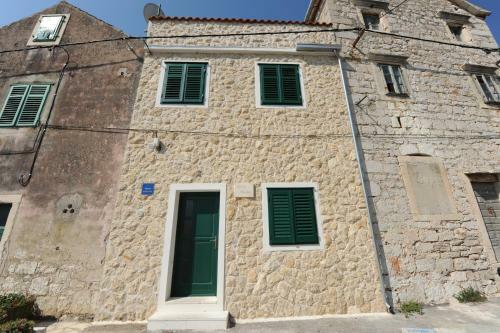 Andrija, Tisno ~ 1 km from Apartments Mais Tisno Rocky beach. Nudism is allowed. Beach Lovisca, Jezera ~ 1,9 km from Apartments Mais Tisno Gravel beach: ideal for families, recommended for young people, with restaurant, with caffe bar, equipped with showers. Excellent choice of watersports. 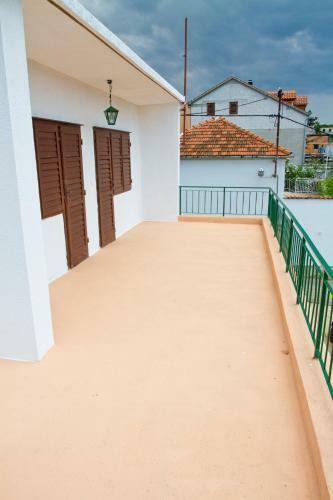 Beach Miran, Pirovac ~ 2,2 km from Apartments Mais Tisno Gravel beach: ideal for families, with restaurant, with caffe bar, equipped with showers. Excellent choice of watersports. Beach Lucica, Jezera ~ 2,2 km from Apartments Mais Tisno Gravel beach: ideal for families, with restaurant, with caffe bar, equipped with showers. Excellent choice of watersports.